The Pou Tai monastery is the only buddhist temple on Taipa. One of the most picturesque temples, it houses the largest Buddha statue in Macau within the mail hall. It is located on the hill on the north side of Taipa, just off the central public transport bridge near the Regency Art Hotel. Has a buddhist vegetarian restaurant. 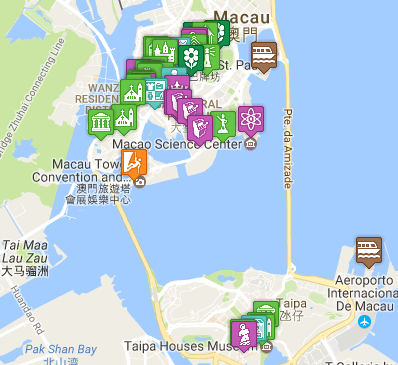 Close to Taipa – but nowhere within easy walking distance.